Talk of revolutionizing utility bills payments and transfer of cash from one entity to another, MPESA and other mobile money transfer services have had undisputed impact on just about everything here in Kenya. Unlike a few years back when we had no option but visit banking halls that were plagued by long queues especially during peak seasons such as back to school to carry out the simplest cash transaction. 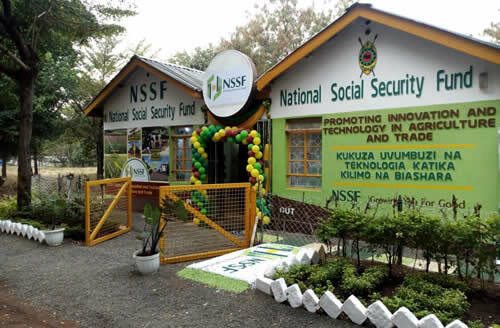 Members of the National Social Security Fund (NSSF) can now make their voluntary contributions through MPESA, just as they would be using any other paybill service. For those who are formally employed, it’s highly probable contributions are deducted by your employer and this service might not be for you; however, if you’re self-employed and make NSSF contributions individually, using MPESA will radically simplify the whole process and spare you all the inconveniences associated with vising banking halls. For those who have used the LIPA NA MPESA service before, this will be a breeze, just as you would make payments for services like paying your electricity bill, purchasing airtime for Telkom number, pay TV or internet subscription – the process is quite similar. All you need is to replace the Paybill number and account number while making the transaction. The National Social Security Fund (NSSF) official MPESA PAYBILL NO is 333300, and the account number should be your NSFF number – this is usually the number which NFFS issues when you register. How to make your National Social Security Fund (NSSF) Contributions through MPESA PAYBILL NUMBER 333300. Before you start the process, you’ll need to make sure your MPESA balance is sufficient, that is if you don’t intent to utilize the fuliza mpesa overdraft facility. Even with fuliza, you’ll still need to be within your maximum limit when contributing. Enter your National Social Security Fund (NSSF) Number as the account number such as “3333445555”. Now check your National Social Security Fund (NSSF) account via NSSF self-service portal, it should reflect within 48 hours, this process is not instant.